We recommend that you arrive at least 10 minutes prior to the beginning of the event you are attending so you can park and find a seat. We have two worship options available each Sunday at 10:15am. Classic Worship is held in The Worship Center and features a blend of traditional hymns and praise and worship music led by a worship leader, praise team and choir. Modern Worship is held in The Venue (formerly the Albertville FBC gym) and features modern worship songs led by a worship band. Our Small Groups start at 9:00am. You can find a list of groups HERE. The Mid-week meal is served from 5:00pm to 5:45pm (reservations required). 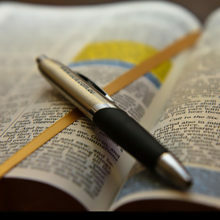 All adult Bible study classes begin at 6:00 pm. Nursery, Preschool, and Children’s Activities begin at 6:00pm. Student Worship (7th – 12th grade) begins at 6:00pm. Worship Choir Rehearsal begins at 7:10pm. You are welcome at First Baptist just as you are. On Sundays, we have attenders in dress pants and ties, jeans and t-shirt, and everywhere in between. We believe that it’s the attitude of your heart that matters to God, rather than your physical appearance. When you arrive, a parking lot greeter will assist you in finding our “Guest Parking” area. There are greeters available at each outside entrance to assist you as you enter the building. Our Classic Worship service consists of a blend of traditional hymns and praise and worship music led by a worship leader, praise team and choir. 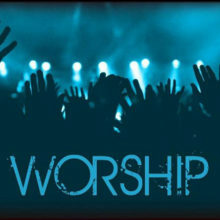 Our Modern Worship service consists of modern worship songs led by a worship band. Our services are approximately one hour and 15 minutes in length. Children are important to First Baptist! While mom and dad attend the Worship Service and Sunday School, the kids will be in special programs designed just for them with caring teachers who want to show them Jesus’ love. A nursery is available for preschoolers during all services. Babies through sixth grade will enjoy their own Sunday School class during the 9:00am hour. Children’s Church is available during the 10:15 a.m. services for children 2 years through Kindergarten. Children in 1st grade and up attend the Worship Services with their parents. First Baptist Student Ministry provides youth in grades 7-12 with the fun-filled fellowship and discipleship they need as they grow in their relationships with God and others. In addition to Sunday morning Bible study, the Student Ministry offers activities on Wednesday evenings as well as special events and camps throughout the year. When you arrive at Albertville FBC, our Greeters will be happy to help you locate the appropriate classes and activities for your children and students. We accept all versions of the Bible that hold true to God’s Word. Our pastor typically preaches from the ESV (English Standard Version). How do I get involved in small groups? Through First Baptist Sunday School Small Groups, you can get involved in a small group of believers who are at the same age and stage of life as you. You’ll enjoy fellowship, encouragement, and build relationships that will last for eternity. 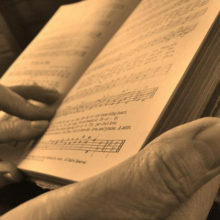 Sunday School groups meet at 9:00 a.m. on Sundays. For help finding the class that fits you just right, visit our Welcome Center. Come get connected through Small Groups.